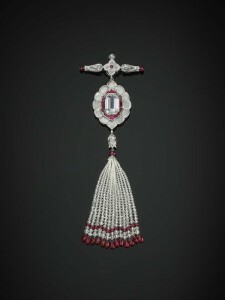 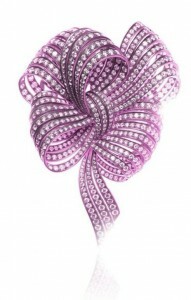 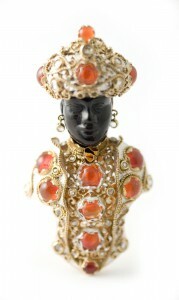 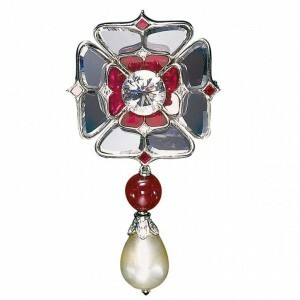 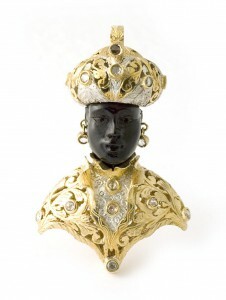 Pendant brooch in platinum, set with diamonds and rubies, with diamond and ruby beads,Viren Bhagat, 2011. 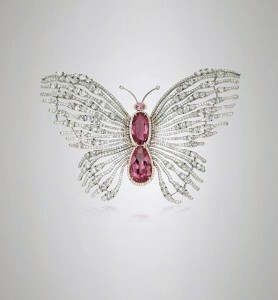 The Al-Thani Collection. 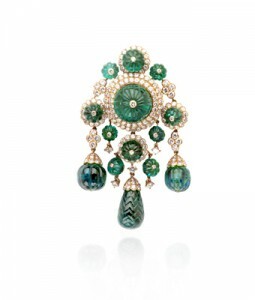 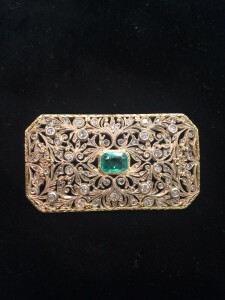 Brooch in platinum, set with emeralds, diamonds and enamel. 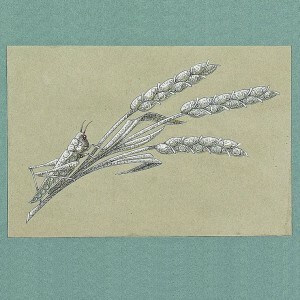 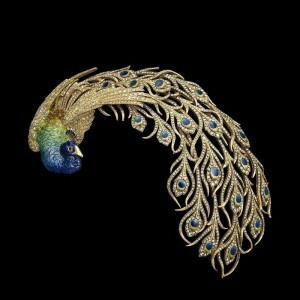 Cartier, circa 1925, modified by Cartier in 1927. 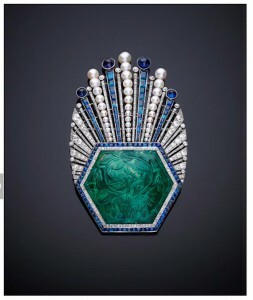 The Al-Thani Collection. 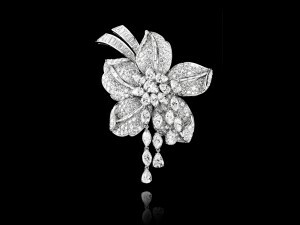 “Star of Golconda” diamond brooch in platinum set with diamonds, Cartier, 2013. 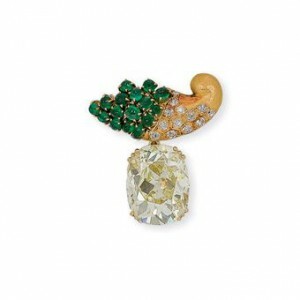 The Al-Thani Collection. 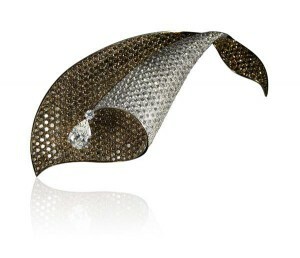 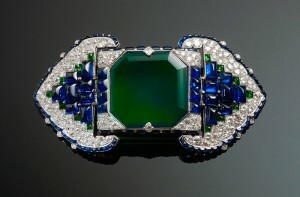 Belt brooch in platinum, set with emeralds, sapphires and diamonds. 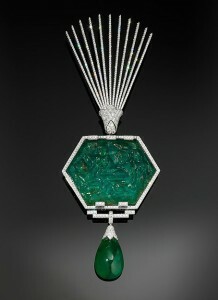 1920-30, Cartier. 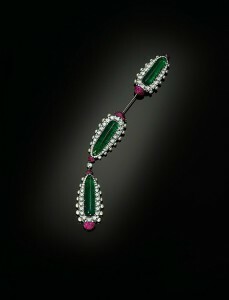 The Al-Thani Collection. 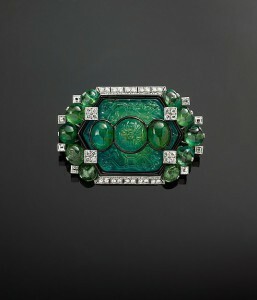 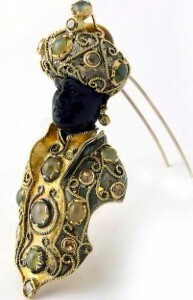 Brooch in gold, set with emerald, diamonds, rubies, rock crystal and white agate, JAR, 2002. 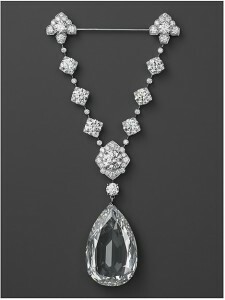 The Al-Thani Collection. 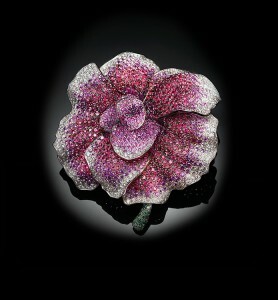 Brooch Bouquet-1938, in the former collection of Anne Gould, Duchess of Talleyrand Perigord. 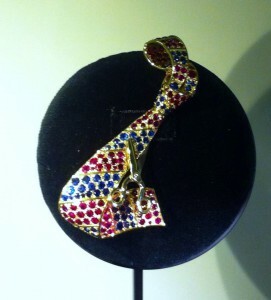 Scissors clip-1951, yellow gold, rubies, sapphires. 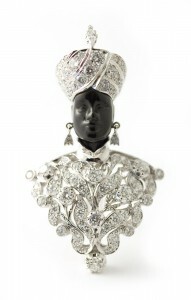 In the former collection of Maurice Chevalier. 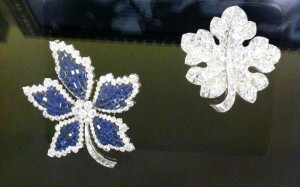 Fabulous brooches with inimitable invisible “mystery” setting patented by Van Cleef and Arpels in 1933. 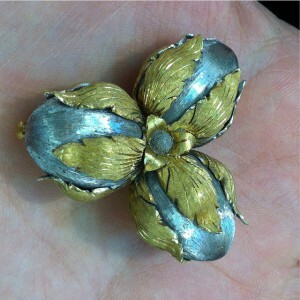 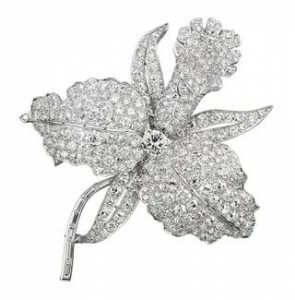 Orchid brooch-1928, platinum and diamonds. 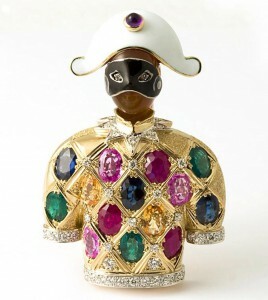 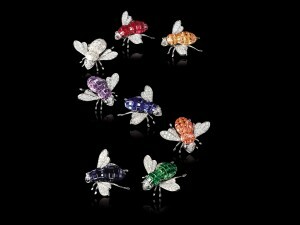 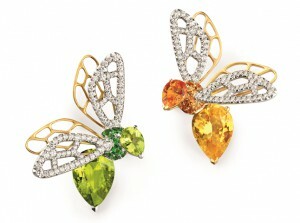 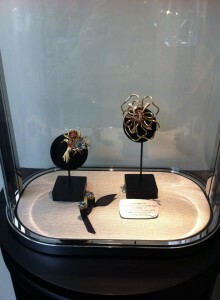 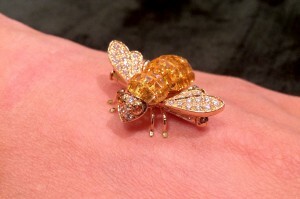 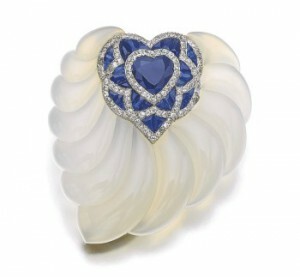 Van Cleef and Arpels Collection. 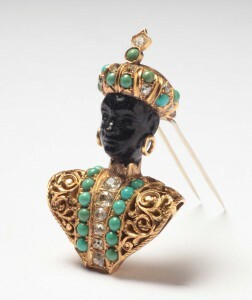 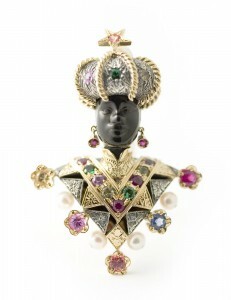 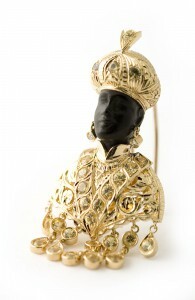 Indian necklace’s part-brooch, 1970, yellow gold, carved emeralds, diamonds. 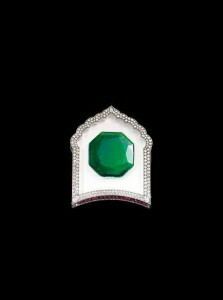 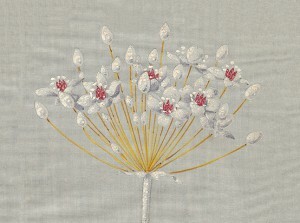 In the former collection of Her Highness Princess Salimah Aga Khan. 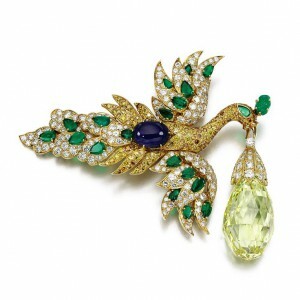 Bird clip-1971-72, yellow gold, emeralds, sapphire, yellow and white diamonds, 95ct briolette cut yellow diamond. 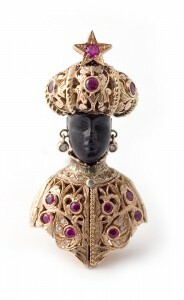 In the former collection of Polish opera singer Ganna Walska. 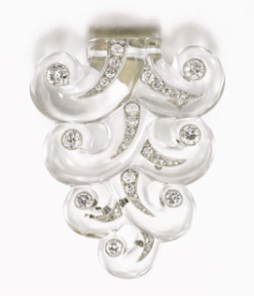 Fern clip-1947, yellow gold, sapphires, diamonds. 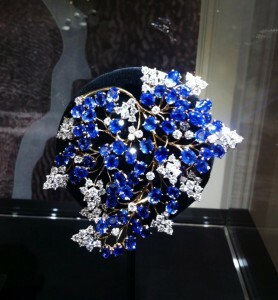 In the former collection of Eva Peron. 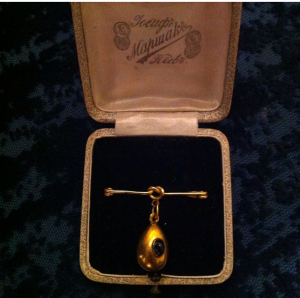 Marchak pin from evil eye in yellow gold with sapphire cabochon. 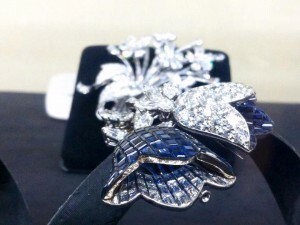 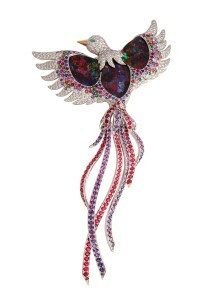 “Oiseau Paradis” brooch in 18k white gold with black opals, multicoloured sapphires and diamonds. 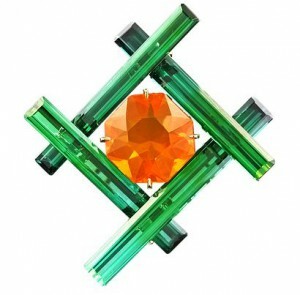 Taffin tourmaline crystal and Mexican fire opal brooch. 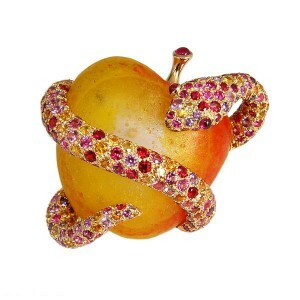 “Temptation” brooch in pate-de-verre, snake in spessartie garnets, spinels, rubies, sapphires mounted in 18k yellow gold. 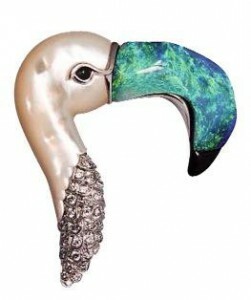 “Flamingo-head” brooch in platinum with opal, ruby, diamonds. 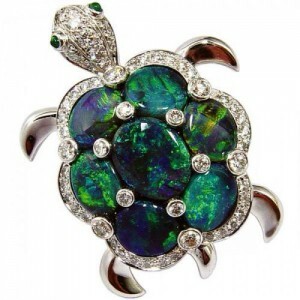 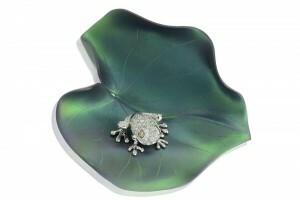 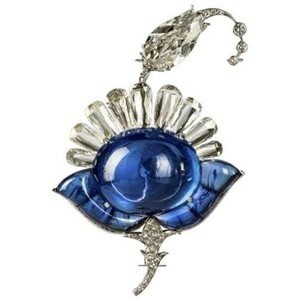 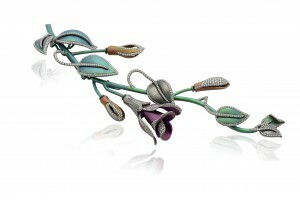 “Luthine” opal turtoise brooch in 18k white gold with diamonds. 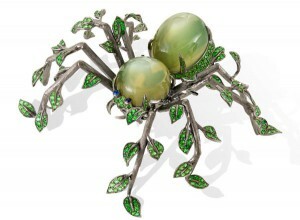 “Homage to Surrealism” brooch set in 18k black rhodium gold with sapphires, green garnets, moonstones. 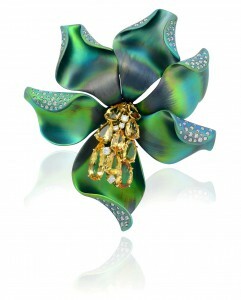 “Bow” brooch in titanium set with Wesselton diamonds. 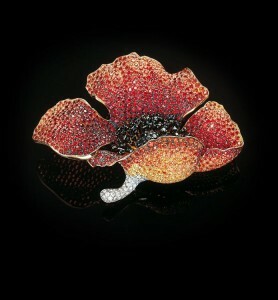 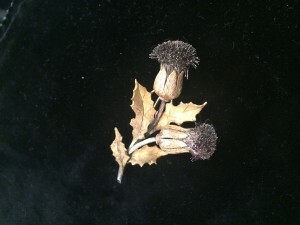 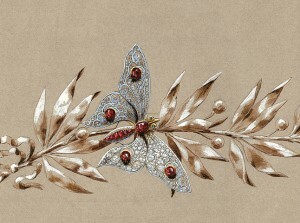 “Autumn leaf” brooch set in titanium with brown and white diamonds.